Services — Grussing Roofing, Inc. Servicing small to mid-range town homes, apartments, and commercial buildings is one of our long-time specialities. We’re experts in built-up tar, rubber and white membrane, and PVC systems. Give us a call to learn more about extended warranties. Whether you’re looking to replace the shingles you have or choose a new type of roofing, we'll help you explore your options. Asphalt, cedar, and slate shingles are our speciality. Every product we carry comes with a manufacturer’s limited lifetime warranty—valid for as long as you own your home. Increase the value of your home by finding a siding option that’s right for your home. At Grussing Roofing, we’ll help you choose great siding based on appearance, durability, longevity, maintenance requirements, and length of warranty. Your windows should be beautiful, easy to maintain, provide security, and help you save all year around on heating and cooling costs. We offer complete window replacements as well as cost-saving frame inserts in wood, aluminum, and vinyl. If your home recently suffered from storm damage and needs immediate attention, give us a call right away. We will come out to meet with you and your insurance adjuster to discuss the damage and prepare a report. We can help with hail, high winds, and tree damage. Gutters protect your home from unwanted water damage. Choose from a variety of quality-grade gutters and leaf barriers to best match the needs of your property. Whether aluminum, steel, or copper gutters, they’re built to withstand the harshest Minnesota winters. 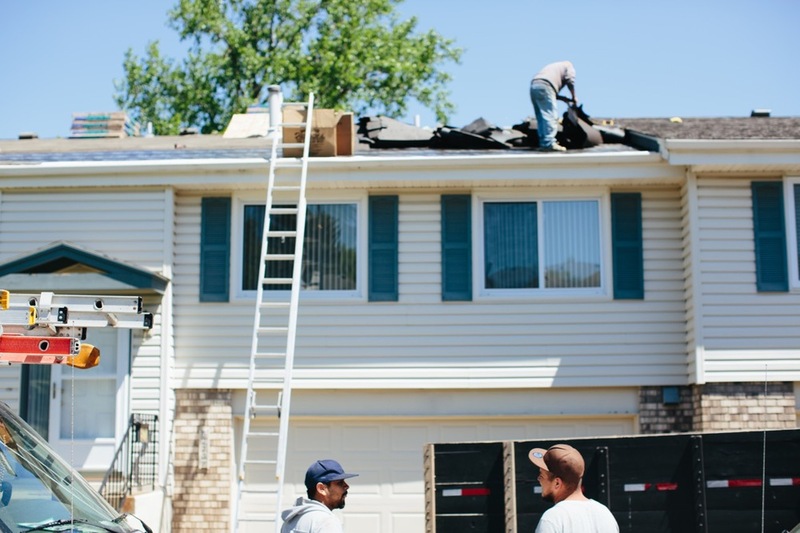 Minnesota winters can wreak havoc on the well-being of your roof. Our team will safely remove snow buildup from your roof and create damns in the ice which enables the ice to melt freely and run off without causing any damage. When you protect your attic with proper insulation, you'll decrease year-around heating and cooling costs while minimizing the chance of ice dams in winter. Ask us about our attic insulation spray foam method—it’s quick and extremely thorough.